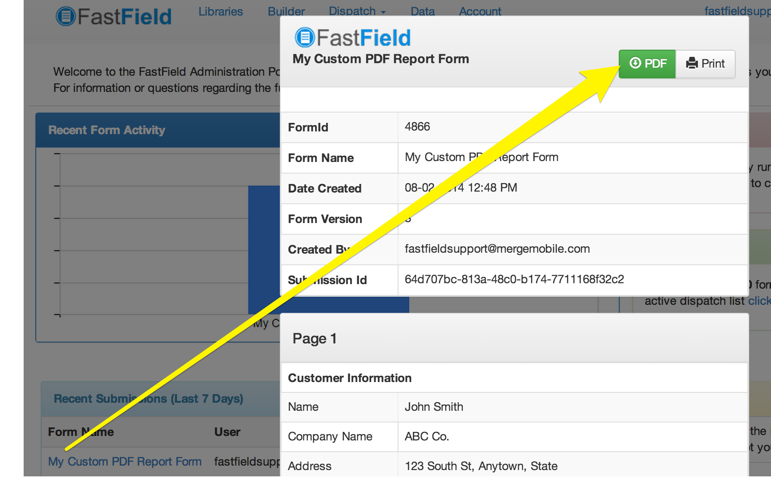 FastField supports custom PDF Reporting by associating a PDF Form Template to your FastField form. This allows you to achieve your own look and feel when generating your FastField reports. If a custom template is not provided, the generic reporting is still available. Adobe Acrobat - To design your own custom PDF, you will need Adobe Acrobat. Our tools DO NOT support Adobe LifeCycle or other third party solutions. Adobe Acrobat Reader is not sufficient for setting up report templates as it does not allow you to create documents and is a read only application. 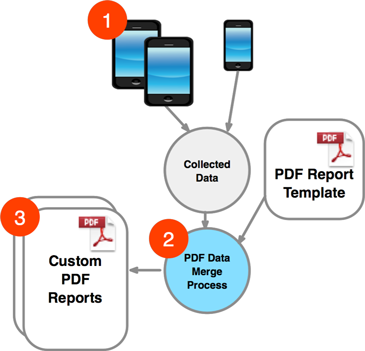 Note: If you do not have Adobe Acrobat or need assistance setting up your custom PDF Report Template, we can help. We offer customizations and can provide you with a quote to setup your report. Please contact us as fastfieldsupport@mergemobile.com. Your data is submitted via the FastField mobile application. Your data is then mapped and merged directly into your Custom PDF Report Template automatically matching the PDF Form Fields to your form using the Field Keys in your FastField form. Your Custom PDF can then be generated and downloaded via the FastField Portal. We then repeat this process for each field in the form. 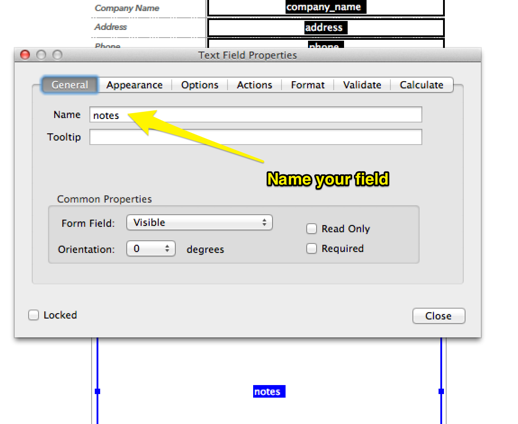 It is important to name your PDF Form Field to match the field's "Field Key" within your FastField Form. Field Keys and Names are case sensitive. 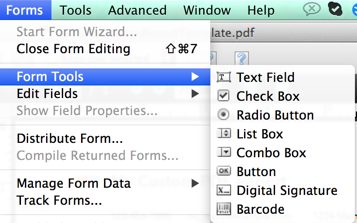 You can name the PDF Form Field by double clicking on the field. Once you have placed all your Form Fields, save the PDF. You are now ready to upload and associate your PDF Template with your FastField Form. Once you have setup your PDF Template, you will need to upload the PDF to link it to your FastField form. To do this, open your FastField Form using the FastField Administration Portal. Navigate to the "Custom" tab and near the bottom you will see a PDF area to upload your custom PDF. Single Photo Since Adobe Acrobat doesn't have a specific field for mapping an image, you can use the button field type to display an image in your report. Drag and drop the Button to match the size of the output you are looking for. Multi Photo Since Adobe Acrobat doesn't have a specific field for mapping an image, you can use the button field type to display an image in your report. Drag and drop the Button to match the size of the output you are looking for. The field key should follow the naming convention of "fieldkey_n" where n is the photo number you are wanting to display. 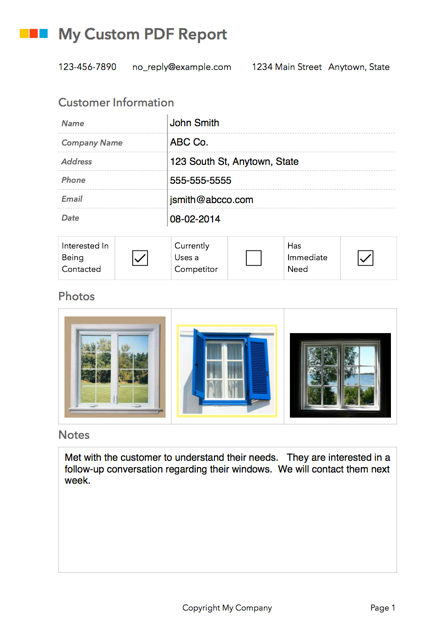 You can also display the "Caption" of the photo by placing a Text Field on your PDF Report Template. The naming convention for captions is "fieldkey_n_caption"
Embedded Photo Since Adobe Acrobat doesn't have a specific field for mapping an image, you can use the button field type to display an image in your report. Drag and drop the Button to match the size of the output you are looking for. For a List Selector that allows multiple selection, use a Text box, or a check box to display multiple selected values. Radio Buttons are only for single-select lists. Location/GPS Since Adobe Acrobat doesn't have a specific field for mapping an image, you can use the button field type to display an image in your report. Drag and drop the Button to match the size of the output you are looking for. Long Text In Acrobat make sure the field has "multi-line" checked off. Static Text In Acrobat make sure the field has "multi-line" checked off. Rating The numeric rating value will be displayed in the text field. fieldkey_n where n represents the photo number you want to display. 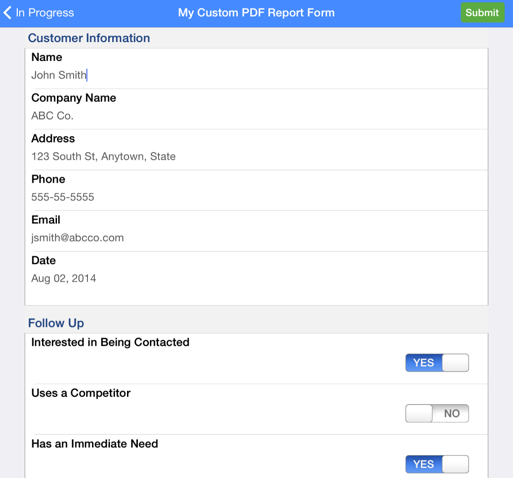 Subform data can be bound to your custom PDF reports as well. This is helpful for forms such as invoices or work orders that have repeating data. In the above example, "Prospects" is the Subform Picker Field Key from the Master Form, "FirstName" is the Field Key from the actual subform, and the numeric value of 1 and 2 indicate which rows to bind to. You can place as many rows of subform as you want in your Custom PDF Template. Simply specify the row number at the end of the field name to let the reporting engine know which subform row you'd like to bind to. Since custom PDF templates are a fixed format, the max row count is capped to the number you place on your PDF Report Template. This setup can get a little confusing, so please familiarize yourself with the normal setup for subforms and multiphoto's within a custom PDF before moving to this. There is one slight teak when adding multi-photo fields to a subform. Instead of the instance number remaining in the last (suffix) part of the key, it will now be moved to just inside the multiphoto instance number. Additionally, if you want to show the Caption to your photo in a separate text box, then you will also have to add "_caption" to the end of the key in the text box. 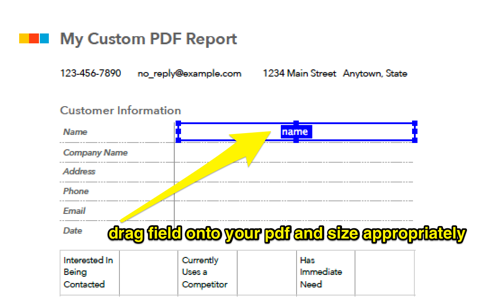 Repeating sections can be setup to display in your custom PDF reports as well. There are some similarities and differences when compared to the setup of subforms in a custom PDF. You will NOT have to link the section key as a prefix before the field key, rather you can place the field key as it is for the first instance of a repeating section. When you reach the second row you will only have to place a _1 as the suffix of the key per each field, and each consecutive instance will add one to the suffix. So the third instance will be a _2 as the suffix. It is important to note that your PDF Report Template is tied to a specific version of your form. So if you update your PDF Report Template, older form submissions will use the older PDF Version to generate the report. To test new PDF Reports that you re-link with your form, be sure to refresh your form library on your device to sync the latest forms from the FastField server.